Newly incorporated in 2013, the City of Diamondhead began as a planned golf community. The neighborhood was conceived as a “retirement community” centered around the golf course. Many of the original homes to the area are the ones along the golf course. Since 2006 the area has seen rapid growth with plenty of new construction to accommodate new residents to the Coast and those moving from lower lying areas south of the Interstate. Named after Diamond Head, Hawaii, the area definitely has a Hawaiian influence. Many of the streets have Hawaiian names – Kapalama, Aloha and Linohau – and there are homes with Kona/Tahitian roof lines. A number of attractions within the community provide recreation. 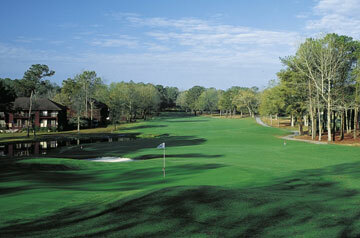 The Pine and Cardinal are 18-hole professional golf courses. There are four community pools for residents and guests throughout Diamondhead. Several lakes and ponds provide fishing and there is also boating access at the Yacht Club and Marina. Diamondhead homes for sale include single-family homes, condominiums and townhouses and many high-end properties with direct access to a private airstrip allowing small personal airplanes to be parked on the property. Conveniently located off I-10, a shopping plaza and area businesses are located at the entrance to the community. There is a new grocery store, a medical facility, retirement home and a fire station in addition to restaurants, bowling, convenience stores and hotels. Residents of Diamondhead are served by the Hancock County School District. Several new schools have been built in the area over the past few years. There are numerous clubs within Diamond offering residents a variety of outlets for interests. The Diamondhead Anglers, The Diamondhead Boaters, Diamondhead Business & Professionals Association, Diamondhead Dance Club and Diamondhead Garden Club are just a few of many that are available.